Normally at OnStage events, I swap 100+ cards or 3-D items. This time I just wasn't into it. Just didn't want to stamp or do anything. BUT I did do gifts. I started out making gifts for all those in our stamping group. Then I decided to go ahead and make gifts for the Stampin' Up! employees there. (I hope I made enough!) Swaps need to use current products and I wanted to make some things using the SAB ribbon so I'll just gift these. 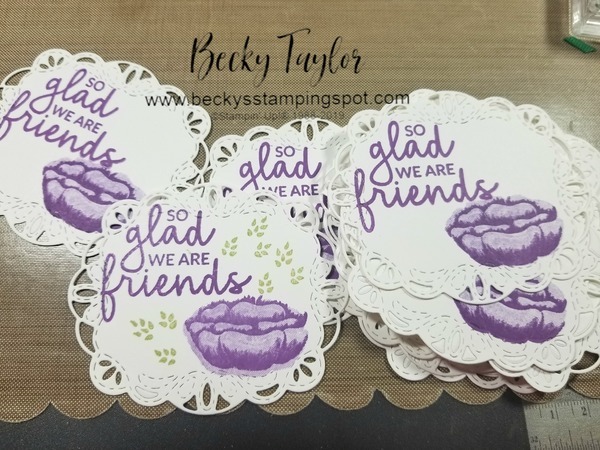 I used the Stitched Labels dies and then stamped the sentiment in Gorgeous Grape. I added the flower using Gorgeous Grape and Highland Heather ink. The leaves were done in Pear Pizzazz. The HIghland Heather cardstock on the top was 3 1/4" x 3 1/4". The gingham sides were cut to 3 3/8" x 7/8". I used the 1/2 punch to punch out the small bit for the front of the box. Once I got that done, I put a glue dot on the top in the middle to hold the ribbon and wrapped 19" of ribbon around the box, tying and making a bow on the front top. TIP: If you are putting anything in the box, be sure and put it in there before tying your bow. I'll be heading to Charlotte tomorrow and can't wait to see the new catalog and all the new products! 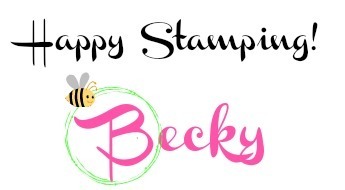 I got my shipment of my Stampin' Up! Storage items in yesterday but didn't have time to deal with it. 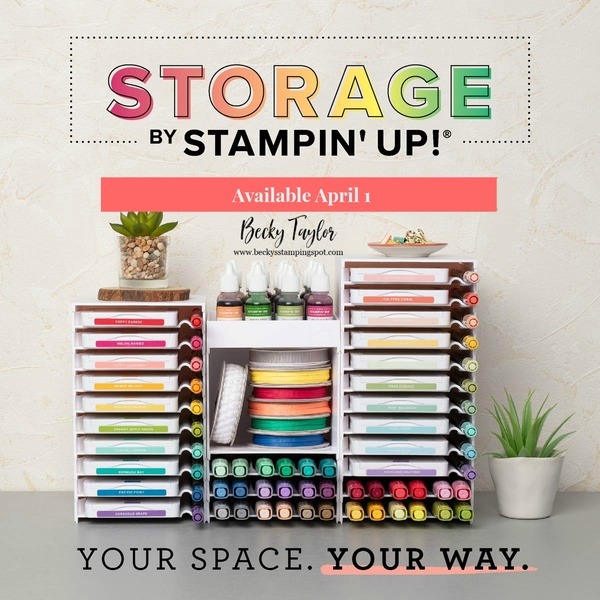 I can't wait to return home and work on that reorganization of my craft room! I'll be sure to take lots of photos so you can see the products and how versatile they are!